- Drive down to Corinth through the Corinth Canal. Then you may stop to visit the archaeological site and the museum of Ancient Corinth. Continue your drive to reach the Argolis Province. We suggest a visit to Mycenae and the Ancient Theatre of Epidaurus. Finally you head to Nafplion. You may have enough time to visit either Palamidi Fortress or the Bourtzi Castle. - Leaving Nafplio, you drive south by the coastal road to Leonidio. After Leonidio, look for the sign for Gythio. On your way, you will find Vlachiotis, you turn left with direction east to Monemvasia. This is a Medieval castle-town built on a rock and it has remained unspoilt though the ages. Cars are not allowed within this Castle Town with the numerous Byzantine churches. You may stay within the Castle area and discover a true mystery. direction north to Vlachioti-Skala and Sparti and visit the Byzantine City of Mystras. A guided visit can be arranged on request. - Mani, a remote region isolated by Mountain Taygetos, has a spirit of its own with rugged landscape punctuated by tiny churches and distinctive stone towers. Explore all the peninsula of Mani till down to the edge Cape Tenaro. We suggest you visit one of the biggest caves in Europe, the Diros Caves. - Take the coastal road through the Messinian Province, the "Messinian Mani", and drive to Kalamata.. Continue east to Gialova, a seashore paradise, only 3km from Pilos. Discover south to Methoni and Koroni. All the area is very beautiful and scenic. - Overnight in the region of Messenia (Kalamata, Achladohori, Pylos, Methoni). incredible scenery, Peloponnese does not stop to amaze you. Do not miss the archeological site of Olympia. Retrace the steps of ancient athletes at Olympia, the birthplace of the Olympic Games. A guided tour can be arranged upon request. 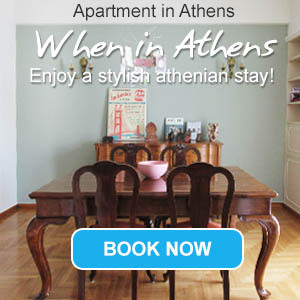 - Once you reach Delphi or Arachova and settle to your hotel you may enjoy a walk in Arachova. Nestled at the foot of Mount Parnassos, this town apart from its beauty is famous for its hand made carpets and the tasty taverns. - In the morning take your time to visit the archaeological site and the museum of Delphi, the naval of the Earth. - Leave Kalambaka, pass Trikala, Larissa and Katerini and then you reach Thessaloniki, the second largest town in Greece. - Take your time to discover this beautiful seaside city, famous for Byzantine monuments, the delicious food and the warmth of its people. A guided tour can be arranged for you upon request. - Thessaloniki - Portaria: 220km approx. Leaving Thessaloniki you take the National Road south to reach Volos, a town at the foot of Mountain Pelion. Visit the villages of Pelion with the breathtaking natural beauty and the traditional architecture. A characteristic of this area is the possibility to be on top of a mountain and have the feeling that you can almost touch the sea.